Some variants of the 26 battery (26 70) has the terminals fixed in the center of the battery, so it may be a stretch for the cables to reach. As a FYI: I did not use any tray at all in the installation of the 121R, just an aftermarket hold down. After discovering that the "J Bolts" from the factory on my 2008 Fit were of different lengths, I had to swap them around to get that hold down to work, along with a washer or two. Just a heads up when placing the rear J Bolt, be sure to have the hook end pointed away from the battery. Note that the 151 is not listed ! very very helpful. thank you. . I have a 2008, and I'm going to get a 121R next week. I found your explanation of the install, and your explanation of the terminal confusion, most helpful. Thanks, hope my pics from previous post helps to visualize this install. Note: The front J Bolt does not go through any hole, but there is a detente under the bottom lip of the tray just about where the hole is. The one pic does not really highlight this but does show it to some degree. Just had my first engine crank issue on my original 2007 Fit Sport. This was purchased in Sep.'06 and the battery was the original, so well over 10 years old. Started right back up with an emergency battery booster pack. Figured it was finally time to replace the battery though, and they put in the tiny 151R. When I told the mechanic the original battery was over 10 years old he went bug-eyed and made me feel like a negligent parent. NOTE: The original Battery for a Honda Fit 2008 is a 151R and in my opinion it does not have enough capacity for very cold climates having only 340 CCA. I searched the Internet for hours trying to find an alternative battery that didn’t require a shoehorn. Some people have used the 51R battery with 500 CCA but that is almost 2 inches longer that the original Honda Fit battery and is a VERY tight fit. Too tight in my opinion. Others have mentioned that a 26R battery can be fit into the available space OK but the battery polarity is reversed so that making the connections is VERY difficult. Need to replace the negative cable, which is easy enough. 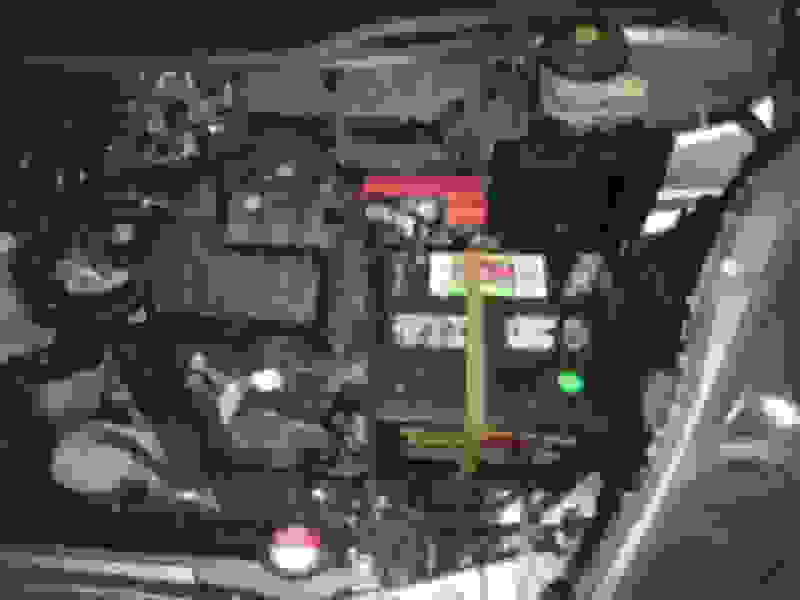 Then must either splice a piece into the positive cable or get under the car to connect a new one to the starter system. Also need to splice a piece of heavy cable into the jumper cable which leads from the positive terminal’s fused connector to the wiring loom. Not fun and definitely not worth the effort in my opinion. 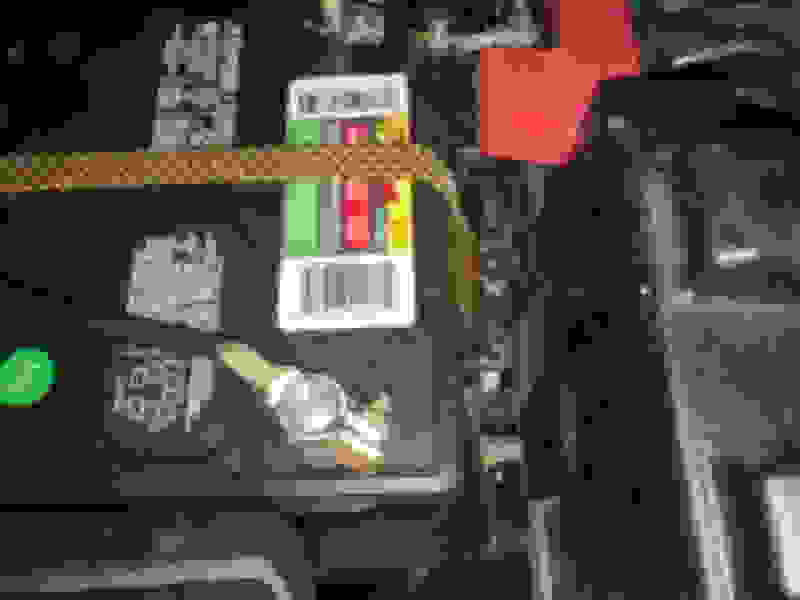 The AutoCraft Gold Battery, Group Size 121, 600 CCA 121-R battery from Advanced Auto Parts is the same size as the 26R but with the battery polarity the same as the original Honda Fit installed 151R battery. 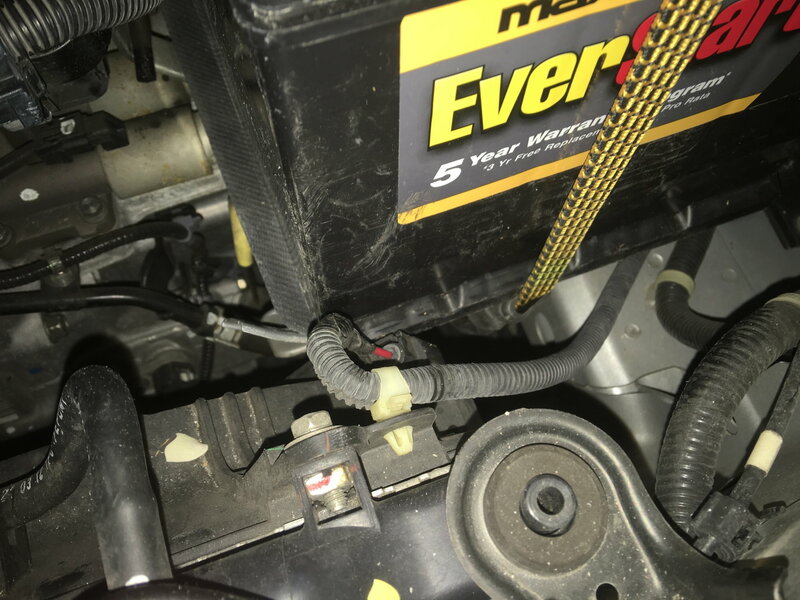 This 121-R battery is an easy replacement and does not require any changes to the Honda Fit’s battery wiring system and the end result appeared to me (as a non-professional) to be both safe and stable. It raises the CCA’s from 340 to 600, which is great on super cold mornings. Kudos on the 121R battery. I to have spent a lot of time searching for a bigger battery to fit into my 2008 Fit Sport. I did replace the 151R battery back some years ago with a 51R and I wound up removing the battery plastic tray thingy and bolted things into place. It is a tight fit but after many years of driving nothing was damaged. Now it is time to install a 121R. The biggest issue I see is that is wider by almost two inches but I have a plan to get it installed in a proper fashion. Length is not a problem as it could have been with the old 151R. So I just replaced my 2013 Honda Fit stock battery with a 121R, based on the encouraging posts here. I tried to get Walmart and several other shops to do this for me, but all said it was against company policy to make modifications, even at the owner's request. 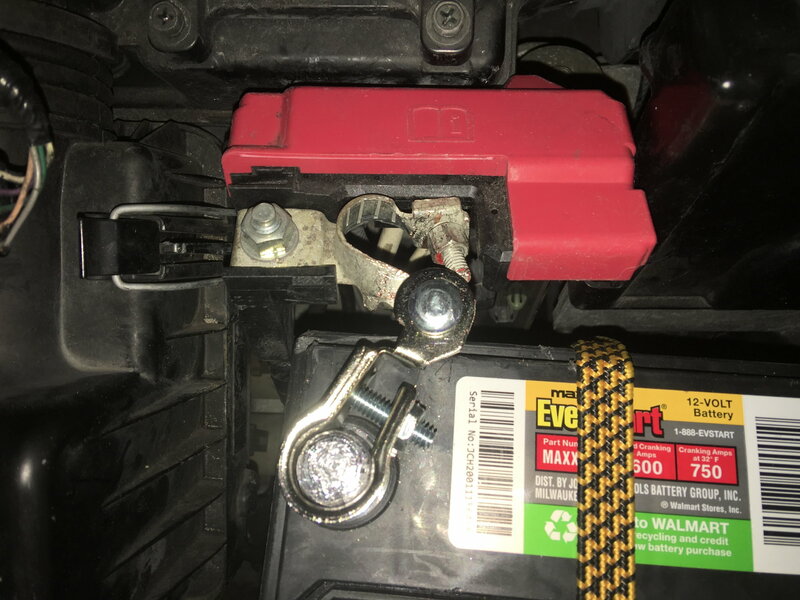 So I bought a battery wrench and proceeded to do this myself. However, halfway through the conversion, I discovered that the stock, L-shaped positive clamp assembly would not reach far enough over the edge of the new battery to clamp around the terminal. No one mentioned this in earlier posts, so I assume there are differences based on which year of Honda Fit. The only thing I could think to do was buy some kind of clamp extension or wire. The store only had a marine battery clamp extension, which had a flat connector with a bolt, washer and wingnut on the other end, yielding about 2" or so extension. Now, I just had to figure out how to connect to the stock battery clamp. I ended up removing the original clamp bolt so I could spread the clamp halves apart. Then I twisted on the half clamp, rotating it 90 degrees, then widened its hole to fit my new bolt-on extension clamp. It worked! I previously completely removed the plastic battery container and placed two hard sponge abrasive pads between the battery bottom and stock frame. This allowed the battery to not hit the metal frame edges. I also had to bend the diagonal metal brace away that held the battery cable bracket so that it, too, would not prevent the battery from fitting. Pretty proud of myself, but I only did it myself because no one else would! I had a 151R (EverStart) from Wal-Mart it died after 3 months. 3 tests by AAA and 2 Wal-Marts showed it as must be replaced. They would not give me my money back at Wal-Mart so I went back to the Interstate based 151R from Honda which gives you a 100 month warranty. I have always heard good things about Interstate. Beware of the service at Wal-Mart it is not customer focused at all. The batteries too are not necessarily the best. The battery at my dealer was just $15 more than the Wal-Mart battery but has a 100 month pro-rated not 60 month warranty, that essentially is a better deal. Costco generally does not provide 151R batteries. I believe in this case the Honda Dealer is your best bet for a battery that they stand behind. Also they will do a charging system check a lot better than most in case your battery is being destroyed by the charging system.